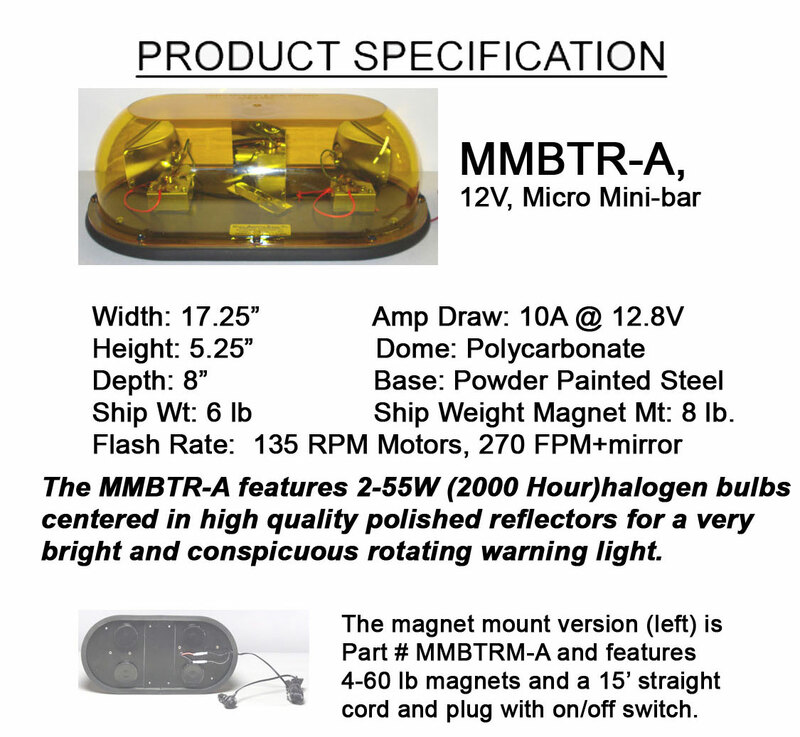 The Dual Rotating Halogen Light Micro Mini Bar provides SAE Class 1 light in a compact size. 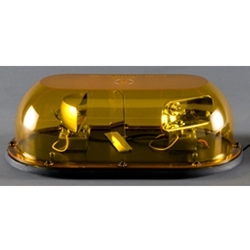 It measures 17.25" in width and includes a crystal clear polycarbonate outer dome and a powder painted steel base with rubber gasket. The Micro Mini Rotating Light Mini-Bar features two 55 watt XENON bulbs (2000 Hours) surrounded by highly polished reflectors for a very efficient and attention getting warning light. It includes a 4 post permanent mount. This product is made to order. Please allow 7 to 10 business days for factory assembly.